A studio photo of a pilgrim dressed for pilgrimage to Mt. Fuji, 1880s. 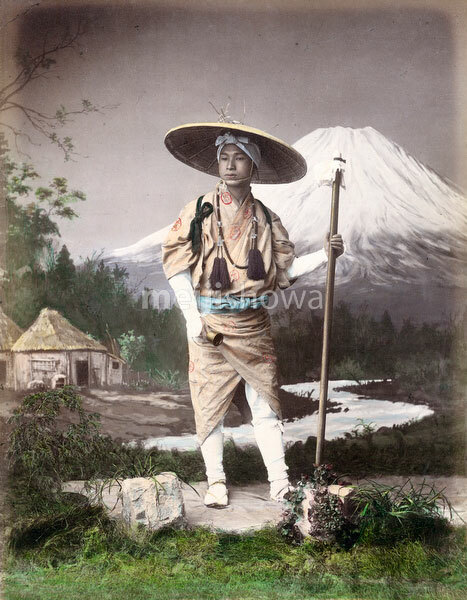 He is carrying a long, wooden staff and a bell and is wearing a sugegasa conical hat. The bell was used to remind the pilgrim that life was short and transient. It also helped to scare of wild animals like bears.